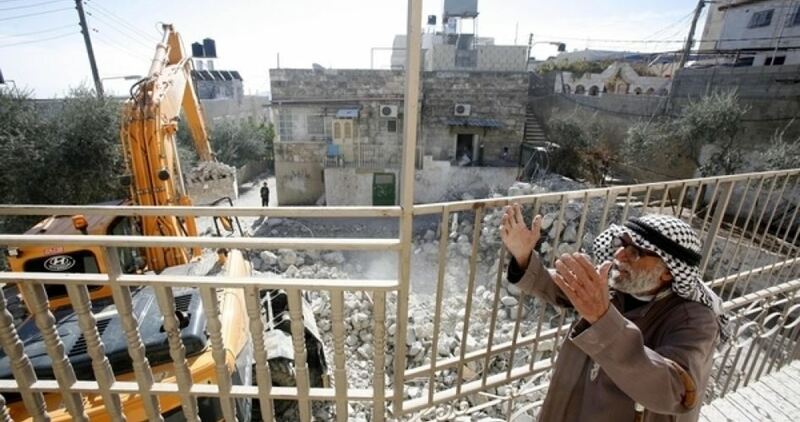 The Israeli occupation authorities (IOA) on Tuesday afternoon knocked down a Palestinian residential apartment under construction in al-Tour neighborhood, in Occupied Jerusalem. 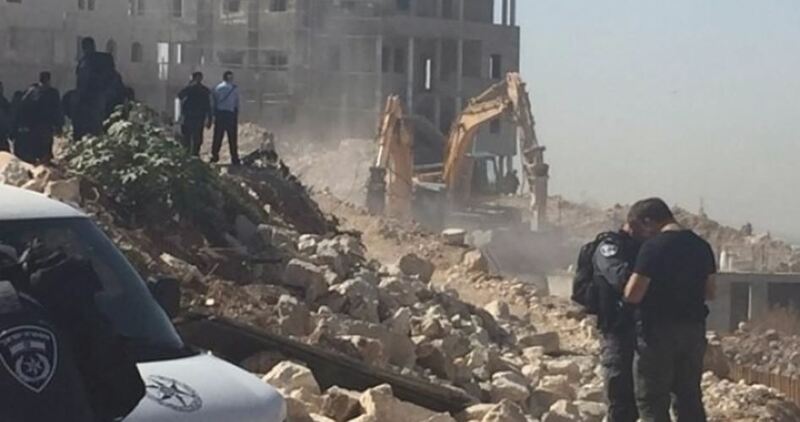 A PIC news reporter said Israeli bulldozers demolished a building under construction owned by the Palestinian citizen Mahmoud Ahmad al-Hadara. The demolition, the third of its kind on the same day in Occupied Jerusalem, was carried out under the pretext of unlicensed construction. In the morning, the Israeli occupation army knocked down a three-story apartment in Wad al-Jouz and another building, owned by the Palestinian citizen Ghanem Kamal Mustafa, in Jerusalem’s town of al-Issawiya. A four-story apartment was also demolished by the occupation bulldozers in Jerusalem’s northern town of Beit Hanina in early November under the pretext of unauthorized building. 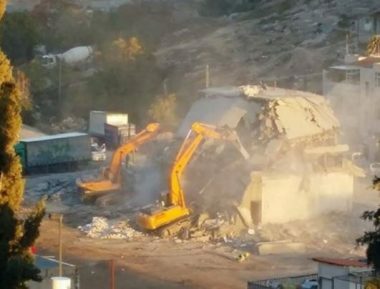 Israeli soldiers, and personnel of the Jerusalem City Council, demolished on Tuesday at dawn two buildings in Wadi al-Jouz neighborhood, and al-‘Eesawiyya town, in occupied East Jerusalem. Dozens of soldiers, accompanied by two bulldozers, invaded Wadi al-Jouz approximately at 4:30 at dawn, and surrounded a residential building, before demolishing it. The building consisted of three levels; the first was used as a warehouse for storing food products, while the second was an apartment and the third was still under-construction. The family was not allowed to remove its belonging before the soldiers demolished the building. Also, the soldiers invaded the al-‘Eesawiyya town, and demolished a residential building, under the pretext of being built without a permit. Violent clashes burst out at dawn Tuesday after dozens of Israeli fanatics stormed Joseph’s Tomb in eastern Nablus province. 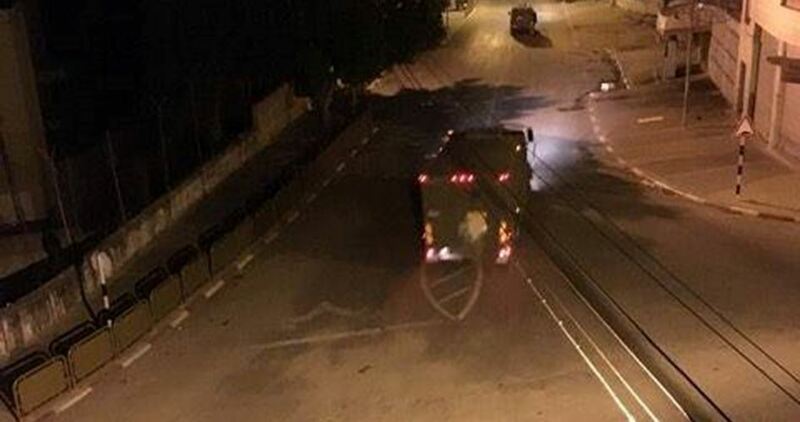 A PIC news correspondent said dozens of Israeli army jeeps rolled into Nablus’s eastern corners at predawn time, paving the way for the mass break-in. According to eyewitnesses the break-in was carried out at 01 a.m. via the Beit Furik and Al-Ghawi crossroads. Two settler batches stormed the area, sparking clashes with the Palestinian protesters. Palestinian citizen Ahmad Al-Salman said that 700 fanatic settlers, crammed into Israeli buses, forced their ways into the plaza and environs of the shrine. The clashes spread out to Balata camp and Amman Street, where the occupation troops attacked the Palestinian protesters with heavy barrages of teargas canisters, resulting in several suffocation cases. Palestinian citizen Nidhal Kaabi, from Balata camp, said civilians could not reach the local mosque, adjacent to Balata’s northern entrance, to perform dawn prayers due to the presence of Israeli soldiers, who withdrew at 5:30 a.m.
Over recent days, extremist settler gangs announced their intent to storm Joseph’s Tomb and called for mass participation in the break-in. In another development, the Israeli occupation army seized machinery from a Palestinian workshop in the northern West Bank city of Jenin. Earlier, the occupation forces claimed responsibility for the confiscation of the equipment of over 120 workshops in the West Bank on claims that they were used to manufacture homemade weapons. Violent confrontations burst out in the area following the assault. A few hours earlier, the occupation patrols came down heavily on the Palestinians of Zabouba town, to the west of Jenin, and sealed off the main thoroughfare to the area with a military checkpoint as part of a policy of collective punishment against civilians. 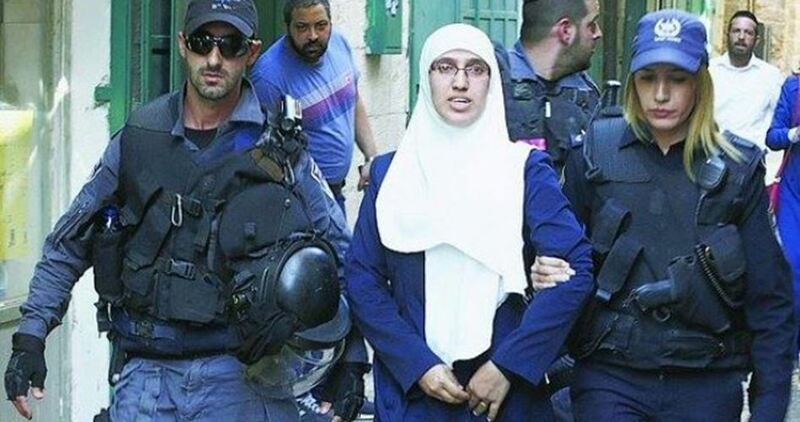 The Israeli police forces arrested Monday afternoon two Palestinian women while leaving al-Aqsa Mosque and closed a wedding hall in occupied Jerusalem. Local sources said that the two Jerusalemite women were detained and taken to a nearby investigation center just after leaving al-Aqsa. Meanwhile, Israeli police closed a wedding hall in Alezariye town, southeast of occupied Jerusalem, over noise pretexts. Eyewitnesses affirmed that Israeli forces stormed the town and broke into the wedding hall before pasting a copy of the closure order on the gate under the pretext of annoying the settlers in Ma'ale Adumim settlement illegally built on the town's land. Along the same line, Israeli forces confiscated Palestinian-owned agricultural facilities in Samu town, south of al-Khalil. The confiscated facilities include construction materials, water tank, and a mobile house. The European Union forum that deals with Middle East affairs is recommending that the EU’s 28 member states ask Israel to reimburse them for the demolition of buildings and infrastructure projects in Area C of the West Bank that they helped finance, European and Israeli diplomats told Haaretz. European diplomats attributed the new non-binding resolution to the lack of progress in negotiations between Israel and EU over the situation in Area C.
The negotiations involved, among other issues, the European demand to stop the demolition of Palestinian structures Israel claims were built illegally, including many built with European funding. The committee comprises Middle East experts from all 28 member states. The committee's resolutions are not binding but can be used as the basis for binding resolutions that may be adopted later by the EU's Political and Security Committee. The Israeli Foreign Ministry was outraged by the resolution and has lodged protests with the EU and several member states. The European diplomats said that Germany categorically objected to the move and managed to soften the resolution so that it only recommends requesting compensation, saying member states could do so if they chose. In the European Parliament, pressure in the opposite direction is being brought to bear on EU Foreign Minister Federica Mogherini by EU Parliament members who are demanding tough action against Israel for demolishing projects built by the EU or by member states. In addition to the EU itself, several EU states help build Palestinian structures or infrastructures in Area C directly, among them several key allies of Israel such as Germany, Italy, Britain, France and Poland. Demolishing these structures or even just issuing demolition orders puts stress on Israel’s ties to these countries. Demands for compensation by these countries could lead to serious diplomatic crises. The Commission of Scholars and Preachers in Occupied Jerusalem slammed on Sunday the Israeli attacks on Muslim cemeteries and Islamic holy sites, calling for immediately bringing them to a halt. The commission stressed the inherently Islamic identity of Occupied Jerusalem and its holy sites. It denounced the Israeli excavations beneath and around the holy al-Aqsa Mosque. The commission further spoke out against the destruction of Muslim tombs in Bab Al-Rahma Cemetery and the establishment of a café for Israeli settlers near the al-Aqsa Mosque. According to the commission, such Israeli violations come in response to the UNESCO resolution recognizing the exclusively Islamic character of al-Aqsa and the Old City of Jerusalem. 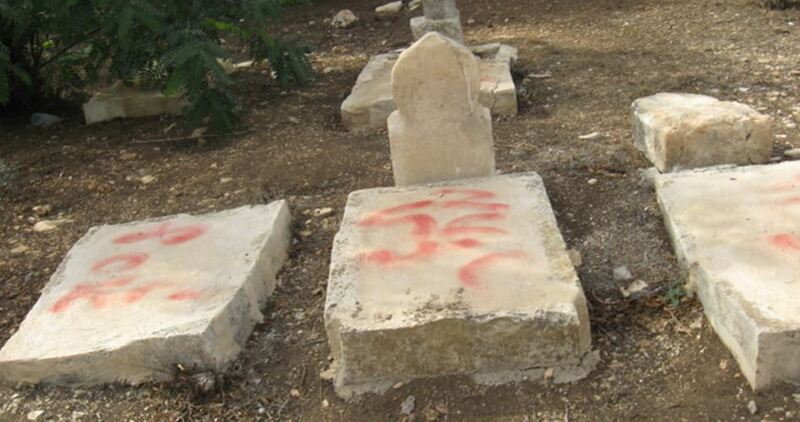 “The sanctity of our holy sites and dead people is a red line that Israel should never cross,” the statement read. The commission called on the Israeli occupation authorities to immediately cease attacks on Muslims, both dead and alive. It further pushed for activating the UNESCO recent resolution and for intensifying vigil in Occupied Jerusalem and al-Aqsa Mosque. 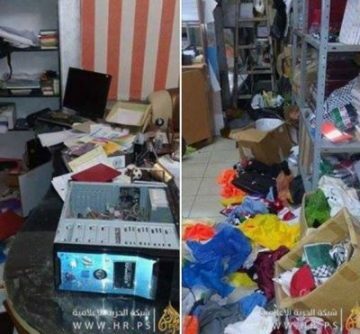 Israeli soldiers invaded, on Monday at dawn, an advertisement company, in the southern West Bank city of Hebron, violently searched it, causing excessive damage, before confiscating its computers, and other equipment. Company workers said the soldiers invaded the Al-Manara Market, in the center of Hebron city, before storming the company, and violently searching it. The company is owned by Rabrea’ Tarda, who said that the soldiers confiscated computers and other equipment, and caused excessive damage during the violent searches. The soldiers also installed several roadblocks in the area surrounding the company, and prevented the Palestinians from entering or leaving it. Several Israeli military vehicles invaded, on Monday at dawn, Ramallah city in central West Bank, and many nearby villages, leading to clashes between the invading forces and local youngsters. The soldiers surrounded a hotel, invaded a coffee shop, and illegally confiscated cash. In a televised report, Ali Dar Ali of Palestine TV said that the soldiers invaded Sorda town, to kidnap a young man but could not locate him. The invasion led to clashes with dozens of local youths who hurled stones and Molotov cocktails at the military vehicles, while the soldiers fired live rounds, rubber-coated steel bullets and gas bombs. The soldiers also invaded the al-Mazra’a al-Gharbiyya village, northwest of Ramallah, and kidnapped a young man, before moving him to Beit El colony, north of al-Biereh city. In addition, the soldiers invaded Um ash-Sharayet neighborhood in al-Biereh, and kidnapped a young man before moving to Ofer prison and military base, illegally built Palestinian lands, belonging to Betunia town. 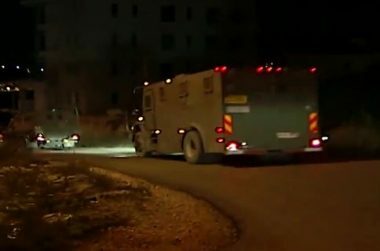 Furthermore, more than 14 military vehicles invaded at-Tiebeh neighborhood, in Ramallah, and surrounded a hotel for three hours, starting at two after midnight. In the same area, the soldiers invaded a coffee shop, and illegally confiscated surveillance tapes, equipment, and cash. 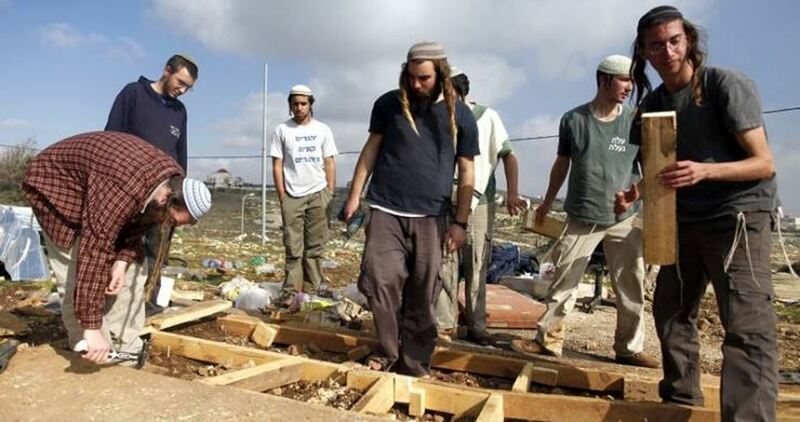 The Israeli government’s home demolition policy as a punitive measure has proved ineffective in preventing Palestinian attacks against Israelis, according to a recent report televised by the second TV Hebrew channel. 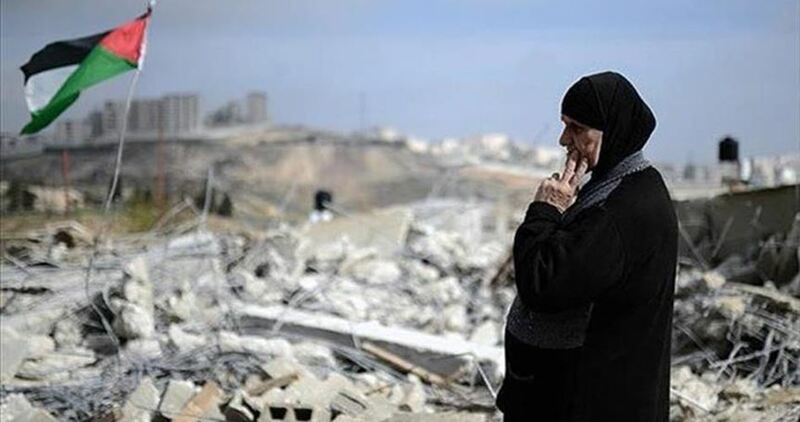 The channel said that remarks made by many Palestinian families whose homes were demolished as punishment for attacks carried out by relatives reflected that this policy failed to affect them and make them show regret for what happened. It expressed its belief that the facts on the ground confirmed that the demolition policy fueled the Palestinians’ hatred and resistance of the occupation. The demolition of homes belonging to relatives of attackers has been a policy since the 1967 war, the channel noted. A new, unauthorized West Bank settlement outpost has been under construction in recent days near an Israeli military training camp in the northern Jordan Valley, five kilometers away from Ro’i settlement, Haaretz reported Sunday. According to the same source, about two months ago, a group of Israelis built a hut in the Megamat Netzah area and then left. 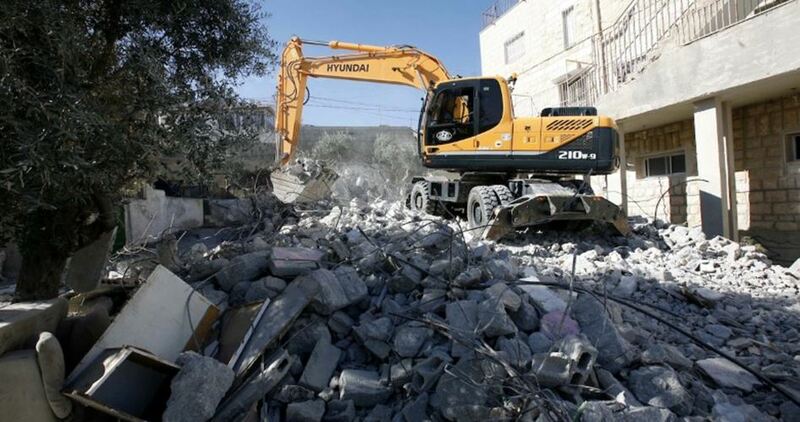 But according to residents of the area and activists, the settlers reentered the territory on the night between Wednesday and Thursday of last week and leveled the ground before they embarked on construction works. A spokeswoman for the Israeli Coordinator of Government Activities in the Territories confirmed that the construction was illegal and had been unauthorized by official authorities. She claimed that the occupation authorities will intervene to stop the construction works and seize the equipment if needed. According to Haaretz, this is the second unauthorized outpost built in the area in just one month and a half. Staff from the U.S. consulate in Occupied Jerusalem who had been due to visit the area were told by the Israeli Civil Administration not to come, in part due to army exercises there, but members of Machsom Watch who visited the area told Haaretz that no military exercises were taking place.